When I recommend starting pitchers in my “Pick Your Spots” articles, I feel an obligation to pick up the same players I recommended on my own teams. That is usually easy because I believe in what I write, and the research I do tells me those are the guys I should use anyway. Sometimes a player I didn’t expect to be on the wire looks too good to pass up, or none of the pitchers I wrote about are available. In those cases, if I need a start, I’m grabbing from what is there, of course. This week I took a spin in Daily Fantasy Sports, Friday night. I don’t have a lot of experience in that realm, so I don’t include specific advice for it in my articles, but I always knew the same analysis and research that I do here would help me there. I joined a private league, assembled my lineup and picked my 2 pitchers, then realized I was about $4k over budget. As much as I wanted both Max Scherzer and either Kyle Hendricks or Masahiro Tanaka, I could not afford it, so I had to go with plan B. Based on my research for last Sunday’s article, there was only one pitcher who fit my budget and would still give me a chance to win some cash. I went to bed at about [11:00] PM and was in about 8th place, needing to finish in the top three to cash in. My only hope was if my #2 pitcher pitched a great game, as most of my offense was already done for the night. Jake Peavy’s right arm alone got me all the way to 2nd place and into the cash, pitching 7 innings of 2 run ball, only getting 4 K’s but he got the all important W. Risky? Damn straight, but I have to believe in what I write about. This time it worked. I also have believed in Zack Davies, SP, MIL for a few weeks now, and sure enough I can’t write about him anymore, as his ownership is now 50%-75% owned. I still get to enjoy him, though, as I own him on at least half my own teams. Good luck Zack. Carlos Estevez, RP, COL was the surprise choice to close while McGee is out. In AA in 2015, Estevez saved 24 games with 82 K’s in 67 innings pitched. It appeared to have been a good choice as he cleanly saved his first four chances giving up no hits, walks or runs in doing so. Then he ran into the Arizona D’backs and promptly blew 2 saves, earning a loss in each. He seems to have a little leash still so far, but this is his chance to show he can do the job. Jason Motte, RP, COL, who has closing experience, is listed as #2. Shawn Kelly, RP, WAS was named closer when Jonathan Papelbon, RP, WAS got hurt. Kelly converted his first two save opportunities flawlessly, but then blew a save the other day. Before we all say, “what now?,” know that the runs scored mainly because of bad defense and not Kelly’s pitching. Brandon Kintzler, RP, MIN was named closer in MIN last week, and now reports out of Twins camp are that Perkins is done for the season following surgery to re-attach his labrum to the bones in his shoulder. Own Kintzler if you need saves, just don’t expect a ton of them. Fernando Rodney, RP, SD gave up his first earned run of 2016 a few days ago, but has already closed two scoreless games in a row since then. I still think a meltdown will happen, not necessarily losing him his job, but it could lose you your week. I have no scientific reason for that, other than pessimism I suppose. Trivia Question – What journeyman NL pitcher, hardly owned at all in fantasy baseball, recently reeled off nine quality starts in a row and only gave up one HR in those nine starts? Answer below. Jake Peavy, SP, SF (23% to 37% owned) – @ OAK, WED: Still only 37% owned in Fantrax and even less in ESPN, Peavy is out there in roughly 2/3 of all leagues. That is hard to believe, considering he just had a date with the Phils, and next week has a date with the A’s in Oakland on Wednesday. Even if you don’t think of him as roster material, he is gold in these starts against soft offenses. All but two of Peavy’s last eight starts have been quality starts, giving up 2 runs or less in every one of them. His season GB/FB rate is over 1.0 and his HR/9 is less than 1.0. That, along with a K/9 of 7.2 vs a BB/9 of 2.7, shows Peavy is getting it done even though he no longer has elite velocity. As hard as it may be, one has to ignore his high ERA and WHIP, which were crafted in April & early May. Tom Koehler, SP, MIA (19% to 44% owned) – @ ATL, THU: Koehler’s string of nine straight quality or near quality starts (starting in early May) came to an end against the Cubs on Friday. He gave up four runs in Miami on 7 H, 2 BB and 7 K’s. He gave up a pair of HR which helped do him in. He had only given up 1 HR total in those past 9 QS games, but it was the Cubs, after all. The numbers don’t show it yet, but Koehler is having a pretty good season, if not one of his best, and he gets the Braves at home next Thursday. Yes, that was the trivia question answer there. Tyler Wilson, SP, BAL (21.0% owned) – @ SEA, SAT: I recommended Wilson for a two start week this past week, so he still has a Sunday game to go. He did put up a QS in the first game of the week against the Padres at home, though he did give up 9 hits, a HR and a walk in surrendering 3 runs to the Padres. Next week he gets to go to Seattle for a start on Saturday. Let’s make sure he comes out of Sunday’s start against the Rays well enough before grabbing him for Seattle. IF you need a start today, see if he is still out there. Matt Andriese, SP, TB (24.0% to 48% owned) – Vs DET, THU: I feel bad for Andriese. He pitched pretty well in his first stint starting in the MLB, only to get pushed back into the pen when the rotation got healthy. At least they kept him on the Big Club, as if they knew he’d be needed again soon, and he is. He pitched well in relief, giving up no runs until his last relief stint, when he gave up 2 meaningless runs in a game the Rays lost to Cleveland 6-1. In his first start back this past week against Baltimore, a start I recommended and picked him up for myself, he gave up 2 runs, but only lasted 4.2 innings with 5 hits, 2 walks and 5 K’s in a game the Rays lost 5-0. Here is the deal with Andriese. I think he is good enough to be owned in Fantasy, so I’m not dropping him unless he really tanks. I’ll roll him out vs the Tigers Thursday, and if he pitches well I’m going to think of him as one of those starters that you don’t throw back to the pool. The fact that he is RP primary is golden in leagues that use Position Limits like mine do. Jorge De La Rosa, SP, COL (21% owned) – @LAD, FRI: Last week I said, “With 81 Wins, De La Rosa is now the Rockies all-time leader in Wins.” He’s now got 83. He beat the Marlins in MIA, going 6 IP with 5 H and 2 BB vs 3 K’s, giving up 3 ER on 3 solo HR. That is about the only way to give up 3 HR and get a QS, but he did it nonetheless, and then yesterday he beat the D’Backs in Colorado, giving up only 1 run on 6 hits and an alarming 5 walks vs 6 K’s. His “stuff” still seems intact, but he is struggling with command, control and efficiency, accruing an average of 100 pitchers per 6-inning game. The 50 runs his league mates scored in the past 4 games, all De La Rosa wins, has not hurt. He’s got the Dodgers on the road in LA next Friday, and I don’t see a reason to cut him just yet, at least until he pitches in the mountains again. **Two Starts** Robbie Ray, SP, AZ (9.1% to 49% owned) – Vs PHI, MON & Vs SF, SUN: Ray got to pitch in Toronto last week vs the Blue Jays and gave up 4 R in 5.1 IP on 2 HR, but also struck out 8 Blue Jays. Now he gets the Phils again, who he just beat handily on June 9th, and then the Giants come to AZ for a series at the end of the week. As I usually say, pick Ray up for the Monday start against the Phils and then decide if you want to hang onto him for the 2nd game on Sunday. Dan Straily, SP, CIN (56% owned) vs CHC, MON & @ WAS, SAT. 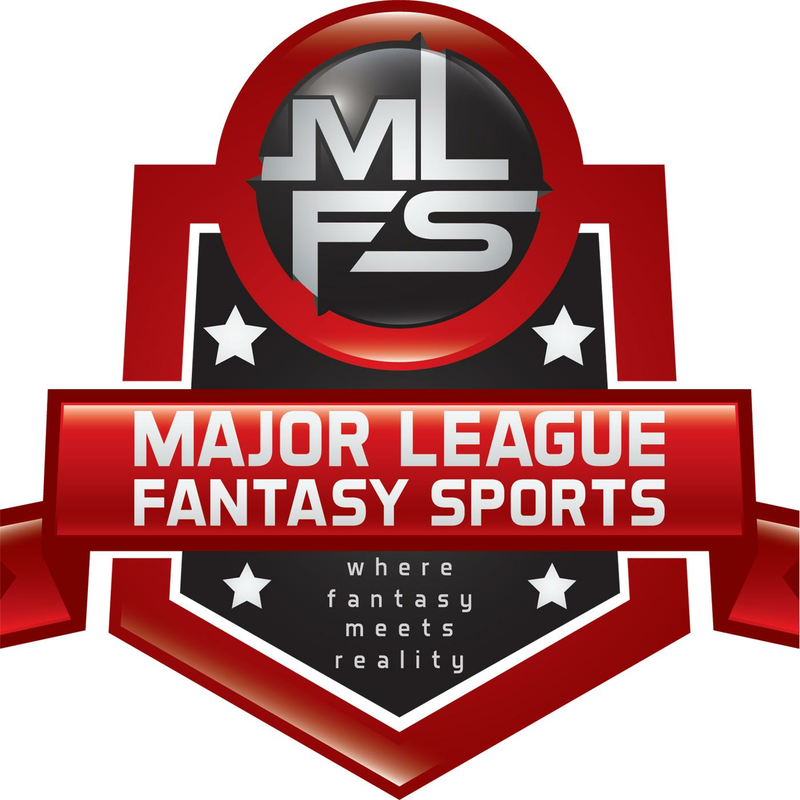 Major League Fantasy Baseball Show: Join Corey D Roberts on Sunday June 26th, 2016 from 7-9pm EST for this week’s episode of the Major League Fantasy Baseball Radio Show. We are a live call in radio show so we encourage callers at 323-870-4395. Press 1 to speak with the host. Every week we will do a quick recap of Fr-Sat games, and a forecast of Monday through Thursday’s games. Our guests this week are Joe Iannone, and Nick DeSisto. Joe is a writer with MLFS, frequent show guest, and a key contributor to the MLFS community. Nick is an owner in our leagues and a frequent guest on our shows this year.